As a contributing editor, we are proud to publish the inaugural issue of the Journal of Regional Anesthesia and Intensive Care. With this journal, we hope to create a platform from which the fields of anesthesia and intensive care can be compared and contrasted. Furthermore, we hope to expand the collective knowledge of these broad fields. My background as a respiratory therapist and researcher has contributed to my knowledge in critical care medicine and anesthesia as it relates to respiratory issues and data to science in general. The challenges of creating a new peer-reviewed journal are daunting. This starts with the acquisition of sufficient peer-reviewed journal articles for the inaugural issue. A journal that has yet to produce its first issue does not have the name recognition found in other established journals. Hence, potential authors do not necessarily seek the new journal out for publication. So the danger lies in the laxing of standards in order to draw enough journal articles to constitute an issue. This is countered through having a pool of researchers seeking publication and appropriate review by subject-matter experts. 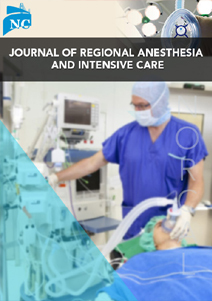 We therefore advance optimistically with the goal of the Journal of Regional Anesthesia and Intensive Care to be that of contributing to the knowledge base of the fields of regional anesthesia and intensive care through peer-reviewed research. We give aspiring researchers a new option for the publication of their work. We hope you enjoy and find value in this and future issues of the Journal of Regional Anesthesia and Intensive Care. As written above, this journal still lacks presence in the multiverse of peer-reviewed journals. Hence we would greatly appreciate your readership, being able to pursue your research for possible publication here in this young journal, and for you to let your colleagues know of our new presence.